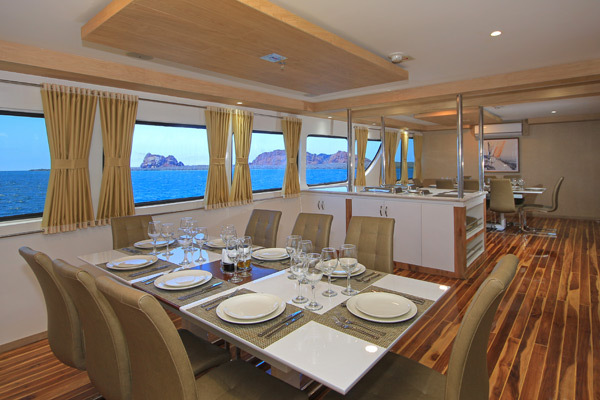 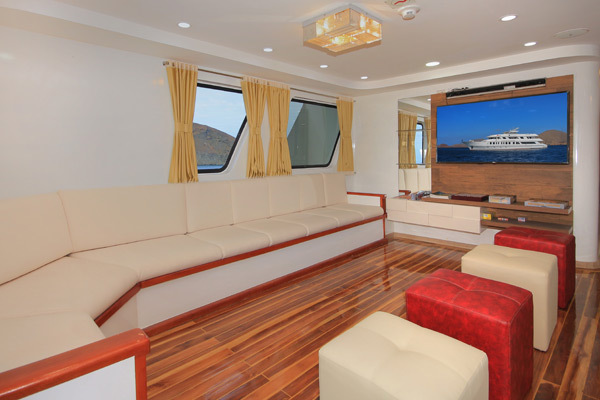 Queen Beatriz, is a 16-passenger motor yacht built in 2018 with high technology. 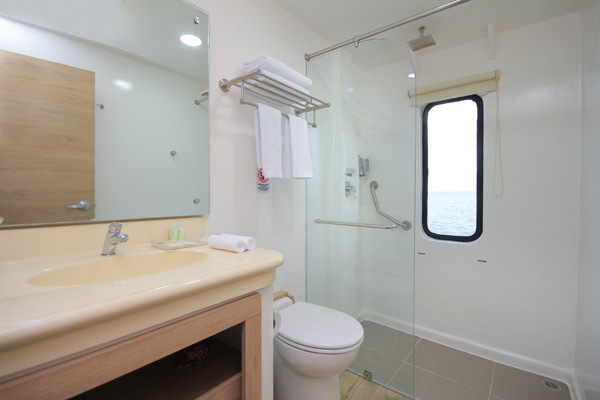 Its nine air-conditioned cabins all boast ocean views and private bathrooms to enjoy of the wonderful landscape. 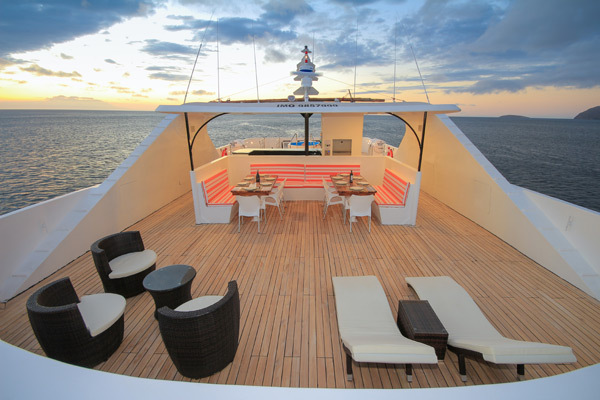 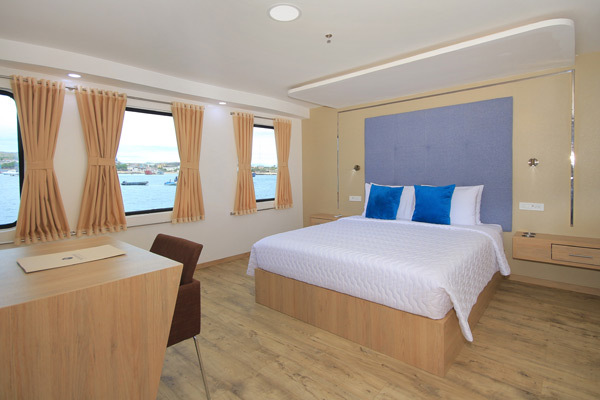 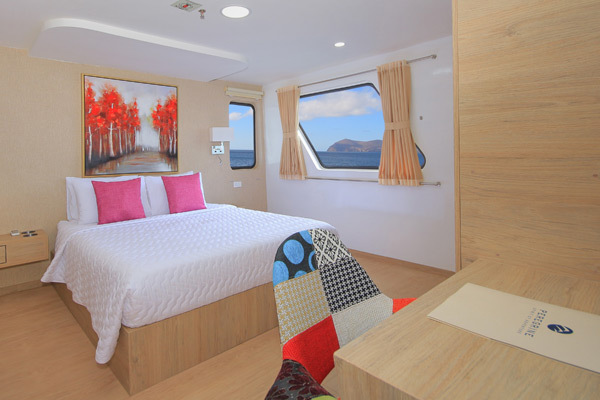 There are four spacious deluxe cabins with private balconies and three standard cabins. 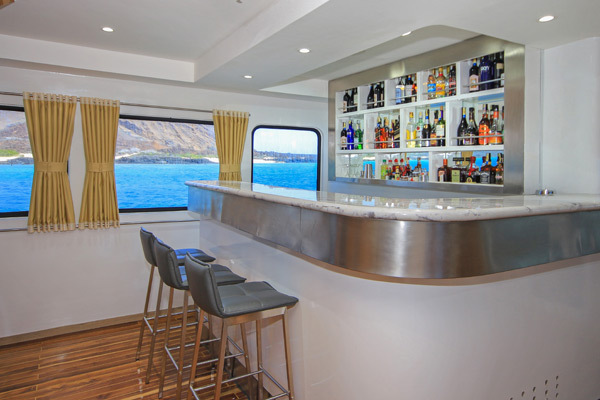 Elsewhere on the ship, passengers can enjoy the jacuzzi, dining room and bar. 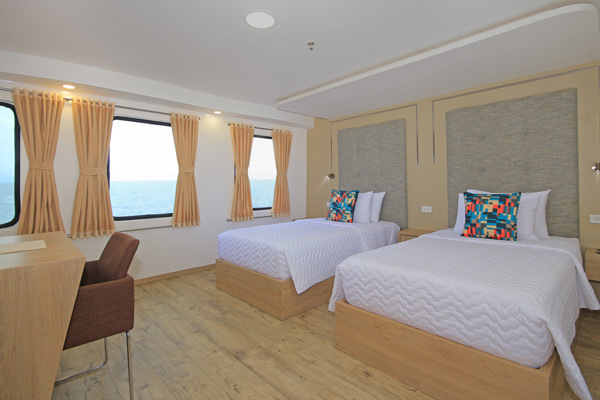 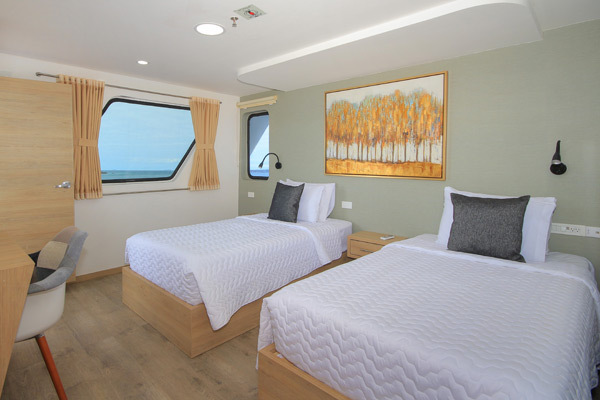 Upper Deck: 2 cabins with Queen Size Beds, 2 cabins with Twin Beds / convertible in King Size. 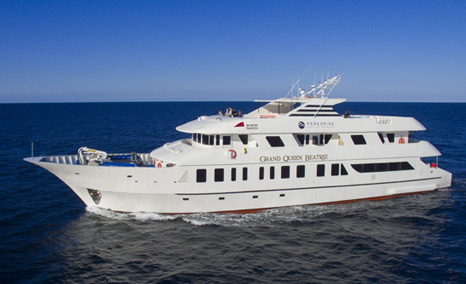 Crew: 9 crew + 1 naturalist guide.